Here in Lynchburg, our City is fortunate to be able to draw water from the Pedlar Reservoir and the James River. But in Florida, nearly all of the drinking water for the entire state comes from groundwater supplies—which makes guarding those groundwater sources an essential task. One of our Florida clients, Environmental Risk Management, Inc., works with developers, agencies, businesses and municipalities throughout the state to protect groundwater (and the environment overall) from threats such as agricultural chemicals, underground tank leaks, and industrial waste. 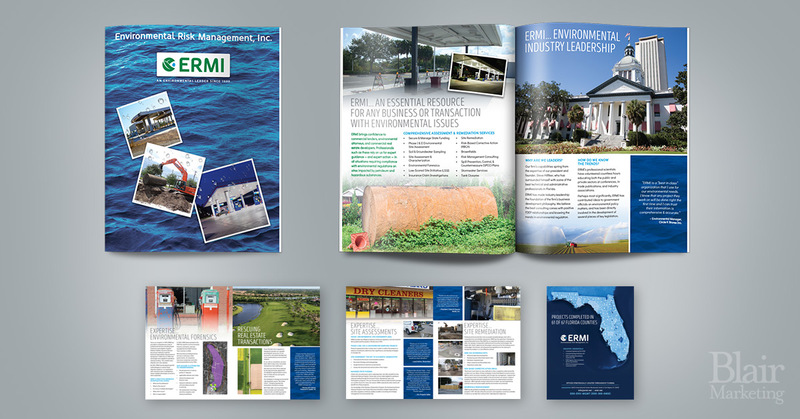 This week, we delivered new brochures to ERMI that will help them get their message out to public- and private-sector audiences across the Sunshine State.